You are here: Home / Personal Finance / Is it wrong to judge those in debt? When we think of someone in debt, there is no doubt countless images that you might conjure up in our heads as what someone in debt might look like and what they’d be doing. Lee Balders, from Homely Economics, wrote a post back in January giving reasons why we shouldn’t judge people in debt, and I would agree, but only to a certain extent. In the post, she is specifically talking about those that find themselves in debt through no fault of their own, whether that be through illness, a breakdown in a relationship or any other uncontrollable circumstance. Lee, you can correct me if I’m wrong. The thing is, in some instances, I can’t help but judge those that find themselves in debt! Before you ready the pitchforks and start burning effigies of me, I am not talking about those that find themselves in debt because of any of the reasons above. I’m talking about judging those that have attached themselves to a culture where they have gone into debt because they have to have everything they want now and only think of the consequences later. I was brought up in a working-class background, both my Mum and Nan were shop assistants, though I never went without. My dad wasn’t around and didn’t contribute financially. You never really understand the sacrifices that your family make when you’re growing up in order that you can have a comfortable life, but it’s certainly something that you consider as you get older and maybe have a family of your own. Unfortunately, there are some that aren’t prepared to go without to enable them to live a comfortable life. Heaven forbid, why have comfortable when you can have all the trappings of what you aspire to be right now, simply by taking out a loan or putting it on a credit card. Is anyone accountable for their own actions anymore? I spend far too many hours of my life watching tv programmes and YouTube channels about cars. The devil on my shoulder has told me to go out and get myself a nice new shiny new car and not worry the consequences on more than one occasion. Luckily, common sense always prevails and I know that this is a mistake that I can ill afford to make. I have a car that gets me from A to B. It might not be my dream car but it works and when my circumstances change for the better, who knows, one day, I might it might be. At the end of the day, it comes down to accountability, but it seems that some just don’t want to be held accountable for their actions. I don’t know whether it’s because they don’t want to admit their mistakes or whether it is just sometimes easier to blame others? This isn’t targeted at the young either, there are plenty of older people that fall into this category. It’s the bank’s fault for giving me a loan, it’s my employer’s fault for overpaying my salary, I needed that holiday or wanted that new car or I just had to have the latest mobile, some of the many excuses that have been banded around. I maybe hold old-fashioned values, but just because they’re old-fashioned doesn’t make them wrong. We work hard for what little we get and to find that you all of your money goes on everyday living expenses can be a hard pill to swallow, especially when it appears that the rich get richer and the poor get poorer, it just doesn’t seem fair. Mr Bezos hasn’t got a shotgun to us saying that we have to buy from Amazon, we do because we choose to. Whether they pay their fair share of tax isn’t something that I’ll explore as Amazon’s tax liability is based on what is spent on items that you and I buy, some of which we probably don’t need, from it and the profits they make as a result. So I’ll leave that to the tax experts and government to deal with. I’m not sure there are many if any, money bloggers out there that say that you can’t have what you want. Many of us are probably of the view though that if you do want something stop and think long and hard about it first. Will it change my life or am I just trying to fill a void, if so what is that void? What example am I setting to my family? You might find some tips on how to stop spending useful too. So as you can see, I do judge certain groups that find themselves in debt, not that they’d care and nor would I expect them too, It’s a lifestyle choice and who am I to say how anyone lives their lives. We mustn’t allow debt to become the norm, though I don’t have the answers how we can stop it further becoming the norm. Debt is a burden that can tear lives and families apart. And I hope that if you’re reading this and are in debt through no fault of your own, you are able to find the courage to seek help and advice from those you love and those that can help get you out of debt. We must judge a society and those that buy into it, that has made debt acceptable just so they can live an unrealistic lifestyle that might be ordinarily out of their reach. Yes, banks and other lending institutions have to take some responsibility for excessive lending, but at the end of the day, we have to be held accountable for our own actions too. – I judge the lenders that loaned them more money than they could afford. The regulator describes this as “irresponsible lending”. – I judge the mobile companies that carry on charging people the same amount after their contract has ended. And who won’t allow people to put limits on their usage. – I judge a school system that makes parents choose between getting into debt or having their child be the only one in the class that can’t afford the 3 day trip to the isle of Wight. – I judge the government for freezing the wages it pays and cutting benefits. In some areas in this country over half the children are growing up in poverty as a result. – I judge the NHS which gives mental health such a low priority. – I judge a school system which gives teens no practical money advice. 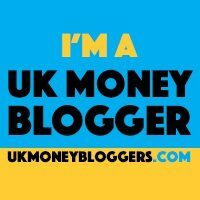 – I judge a system that penalises people who are loyal to an insurer, energy company or bank, or people who aren’t able to get the best prices because they aren’t online. – I judge a government which won’t ban cold calling. It appears that you are of the view that everyone else is to blame except those that have got themselves into debt. This post was about judging those that got themselves into debt to live a lifestyle that was beyond their means, not those that have got into debt through no fault of their own. Based on who you judge, it would seem that you must also blame those shareholders that rely on companies making a profit for a dividend income, parents that want their children to experience trips that enhance their learning experience and a school system that doesn’t teach practical money advice, is there no parental responsibility to teach their children sound money advice? As for Jeff Bezos, being given $300k, might help, but how many people would be able to create a multi-billion pound business regardless of where the money came from? I am a debt adviser – I see a lot of people with problem debt! It is rare that this debt is a lifestyle choice that is deliberately made and by concentrating on those cases you make like harder for all the other people in debt, adding shaming on to their very real problems. Not all parents are up to educating their children about finances that they themselves don’t understand. Why is it the schol’s responsibility to teach people about Dickens and the Battle of Hastings but not what a budget is, how compound interest works, why it is important to pay your council tax or why you get ripped off if your insurance auto-renews? Again you appear to be fixated on people with problem debt, which this post isn’t about. I also see a lot of people in debt and unfortunately the ones that I see, do base their decisions on their lifestyle. They want a nice car, to go on holidays and doing anything else apart from pay their debts. Blaming others is just irresponsible and allows them to deny accountability for decisions that they make. I know when I was at school the last thing that I was ever bothered about was council tax or insurance renewals. So when I got my first pay cheque do you think that my first thought would have been council tax or compound interest. I was taught a lot at school, most of which was forgotten as I didn’t use it on a daily basis.